One of the most popular theme parks in Orlando, Florida is SeaWorld, iconic for its up-close animal interactions and thrilling coasters. 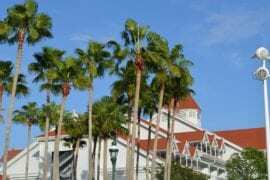 It’s also one of the most centrally-located, so you can base yourself at an Airbnb near SeaWorld Orlando and easily explore the other theme parks and attractions nearby. SeaWorld Orlando attracts visitors of all ages! Enjoy a heart-pumping adrenaline rush when you ride MAKO, Orlando’s tallest and fastest rollercoaster. Appreciate the beauty and grace of killer whales during an awe-inspiring show or get up close and personal with one of the park’s numerous animal interactions. 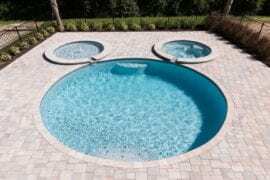 Airbnb is definitely the place to find the best vacation rentals near SeaWorld Orlando Florida. To help you plan ahead for your next theme park adventure, we’ve selected the best Airbnbs near SeaWorld Orlando below. 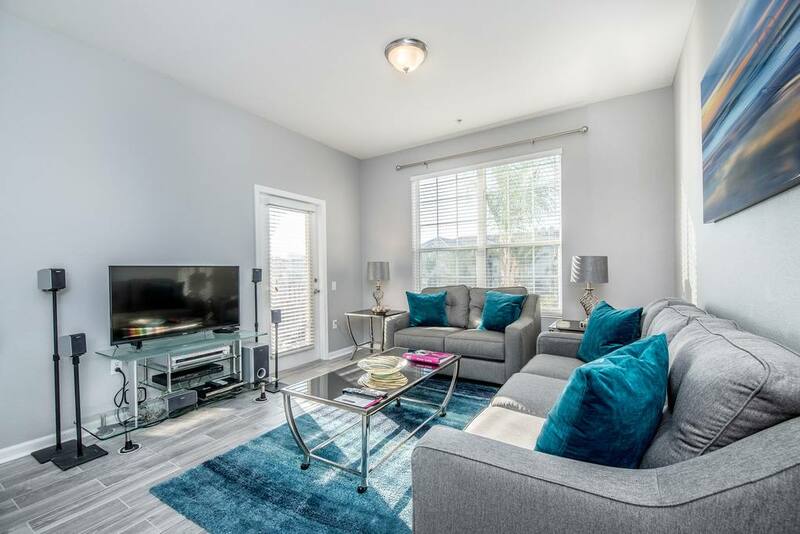 If you’re looking for a stylish vacation rental near SeaWorld Orlando, this beautiful and spacious apartment is the ideal choice. Located in Vista Cay, you’re never too far from any of the theme parks here, but SeaWorld is especially close. The apartment also gives you access to the huge communal swimming pool, with large sundeck and plentiful shade. Available from $239 a night, the apartment itself has space for up to 7 guests with three bedrooms and two large bathrooms. The space is modern and beautifully appointed with a huge flat screen TV and a comfortable seating area in the lounge. The kitchen is packed with everything you could need, however there are plentiful restaurants also within each reach. The cool color palette even has varying shades of aqua and blue to get you in the mood for your aquatic adventures at SeaWorld! Starting at about $240 a night, this comfortable three-bedroom condo vacation rental is just minutes from SeaWorld Orlando in the Vista Cay resort community. Decorated to suit in cool shades of blue and gray, the apartment could almost be aquatic itself! There’s space for up to 7 guests to stay comfortably with three large bedrooms and two full bathrooms. 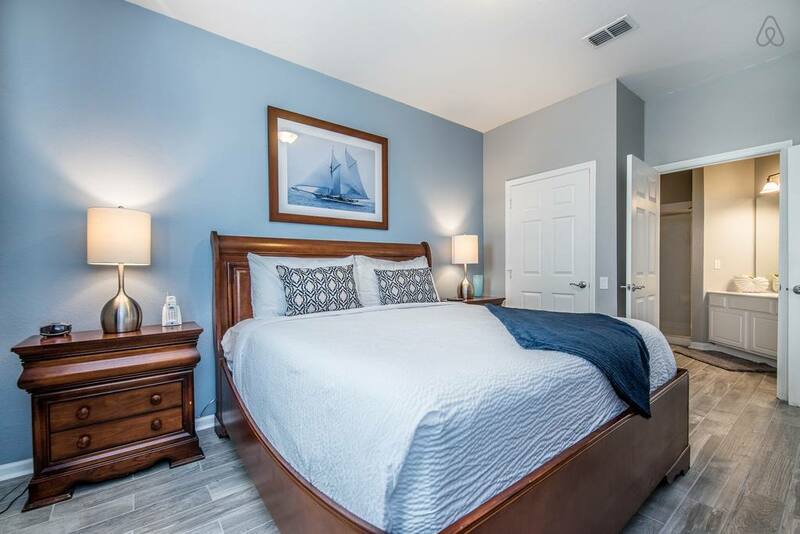 Since one of the bedrooms has two double beds, the condo is a great option for families visiting SeaWorld Orlando with kids or teens. 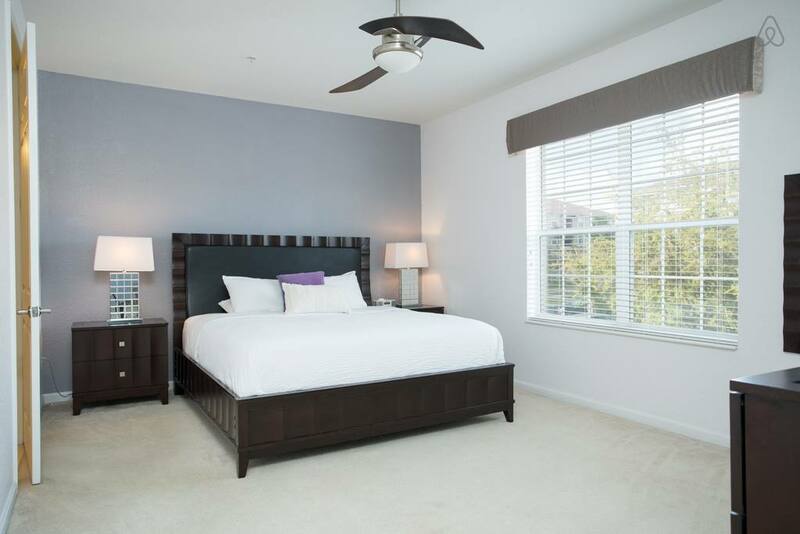 Grownups will appreciate the large and luxurious master suite, as well as high-quality linens used throughout. 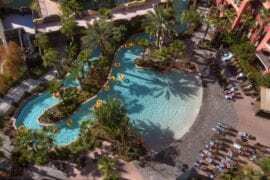 As a guest of this property, you also have access to the neighboring Vista Cay Resort amenities, which include multiple swimming pools, kids clubs, bars, restaurants, and a whirlpool spa. 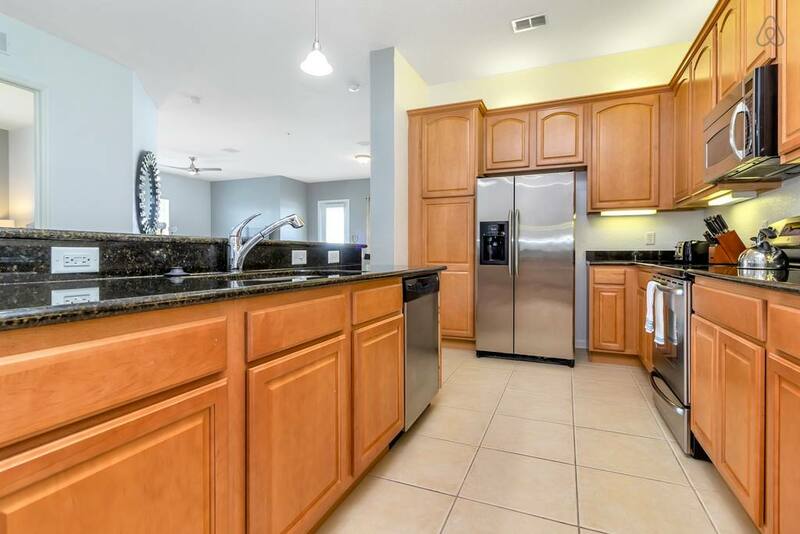 Also located at the desirable Vista Cay resort complex, this colorful condo apartment near SeaWorld Orlando is a great choice as well. Beautifully decorated, the apartment features many fun splashes of color along with high-end design details. 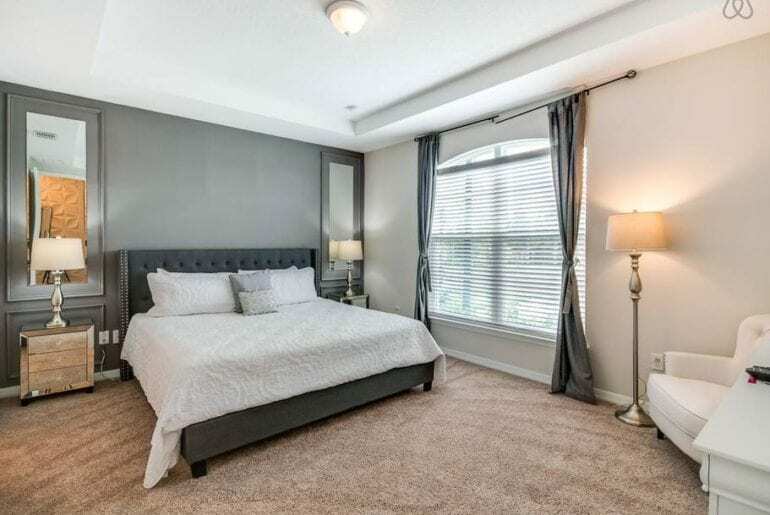 The condo can accommodate between 6-8 guests, with two large bedrooms (one with two double beds), two bathrooms, and an additional sofa bed in the living room. By staying in this property you also have access to the facilities of Vista Cay, including multiple swimming pools and entertainment amenities. 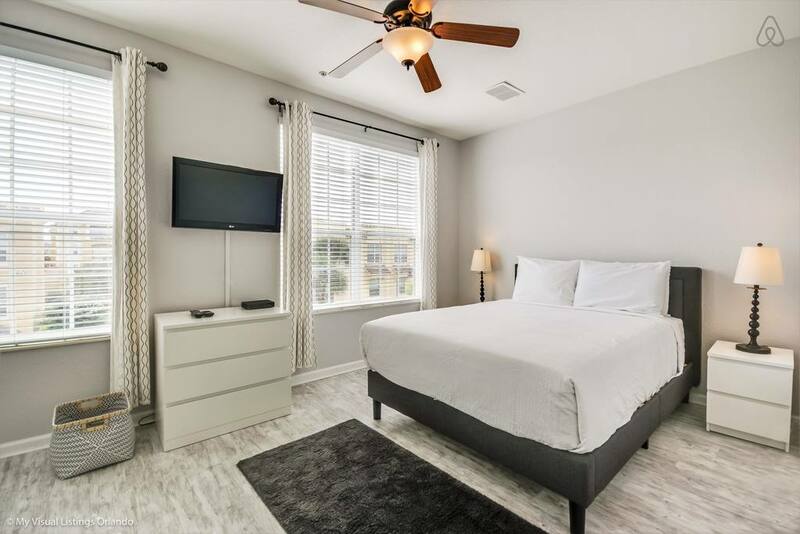 One of the best Airbnbs near SeaWorld Orlando is a mere 15-minute drive from the park entrance and available now from around $200 a night. 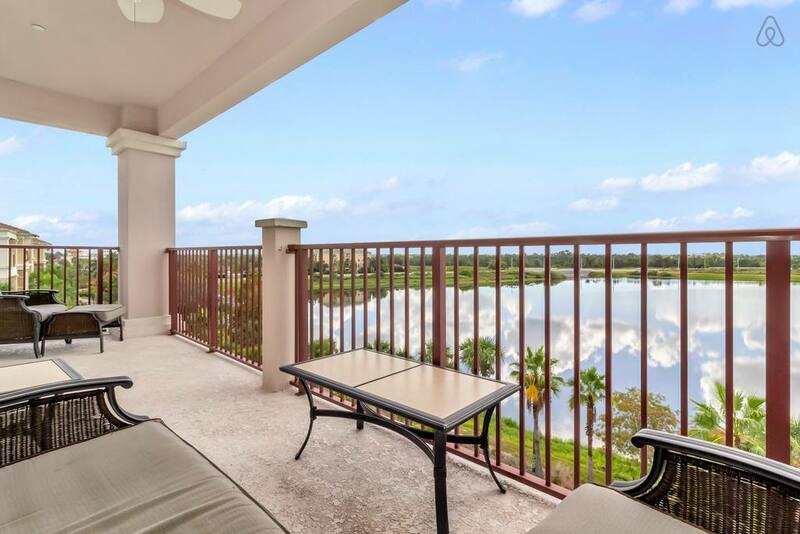 Overlooking a spectacular golf course, this modern penthouse apartment near SeaWorld Orlando could be perfect for your next Florida vacation. Available from around $200 a night, this spacious and bright, top-floor apartment is nicely decorated with modern furnishings and simple, minimalist decor. 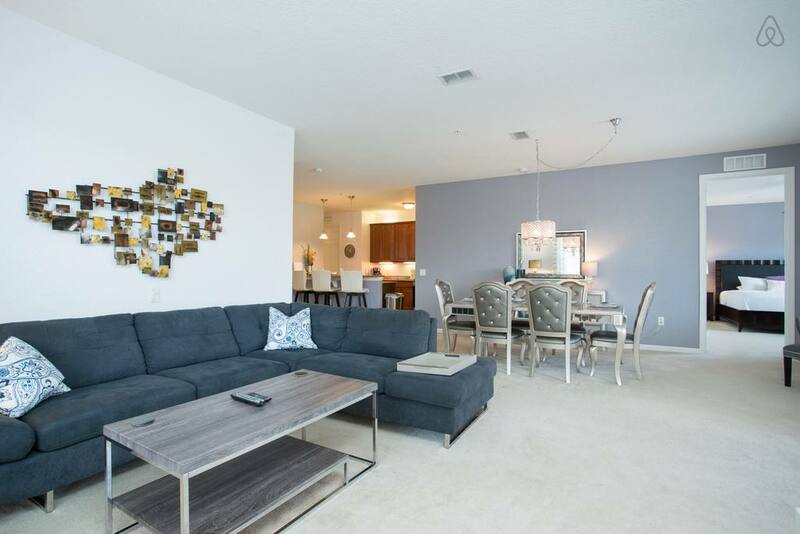 Stainless steel appliances and sleek lines give the rental a fresh, ultra-modern feel. There’s space for 8 guests in the three bedrooms, containing a king bed, queen bed, and two double beds — two more guests could also be accommodated on the sofa bed in the living room. 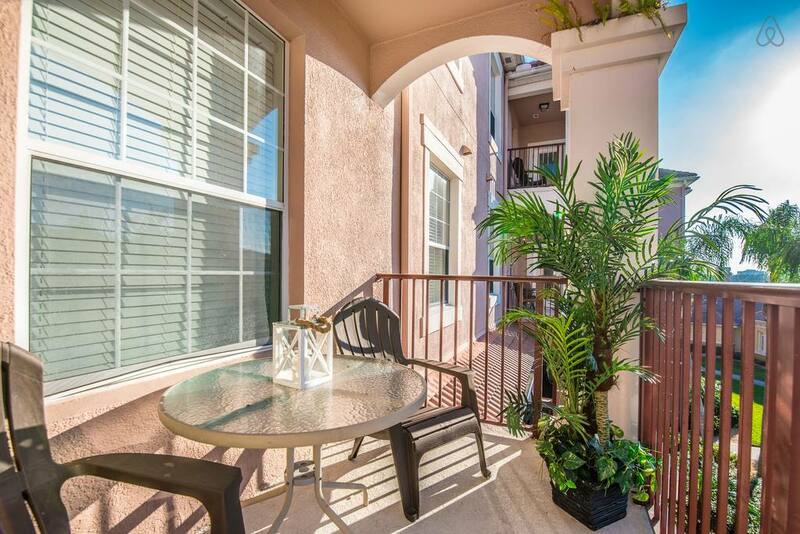 One of the best features of this SeaWorld Orlando vacation rental is the huge balcony space. Catch a few rays on the sun loungers or simply admire the views over the lovely golf course. It’s easy to unwind and relax here after a long day spent exploring the theme parks! 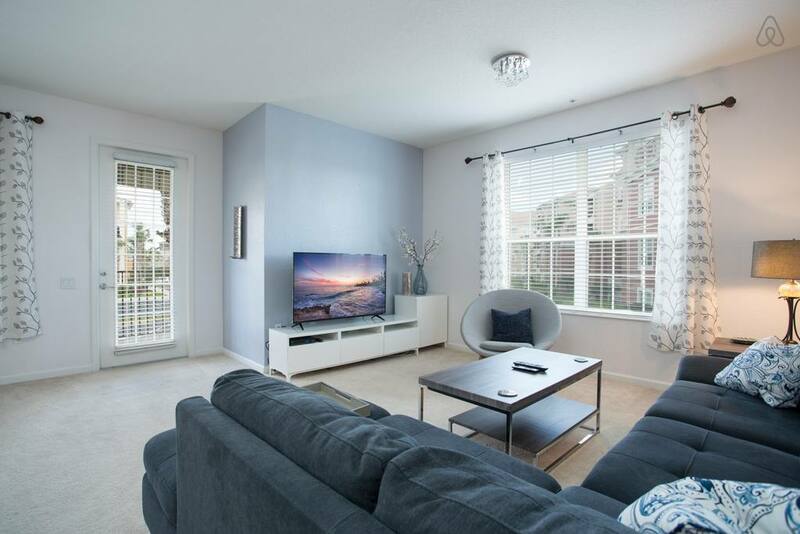 With space for up to 6 guests, this spacious and airy townhouse near SeaWorld Orlando is also just around the corner from the Orange County Convention Center. The space is perfectly set up for business travelers needing to be close to the OCCC or a small group of friends wanting to enjoy SeaWorld and other theme parks! There are three queen-bedded bedrooms and 3.5 bathrooms, all decorated in a subdued, peaceful color palette. 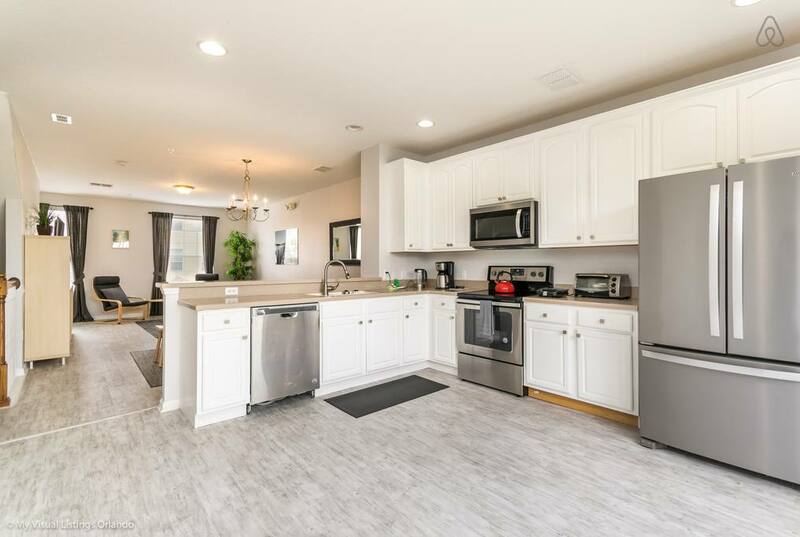 The large, open-concept floor plan is great for group gatherings, whether you want to serve appetizers out of the gourmet kitchen, a sit-down meal at the dining table or simply unwind with a movie marathon in the lounge space. Guests can also access the neighborhood’s resort-like amenities, including multiple swimming pools, a business center, dining, a gym, and more. This incredible townhome is available from just $170 a night. 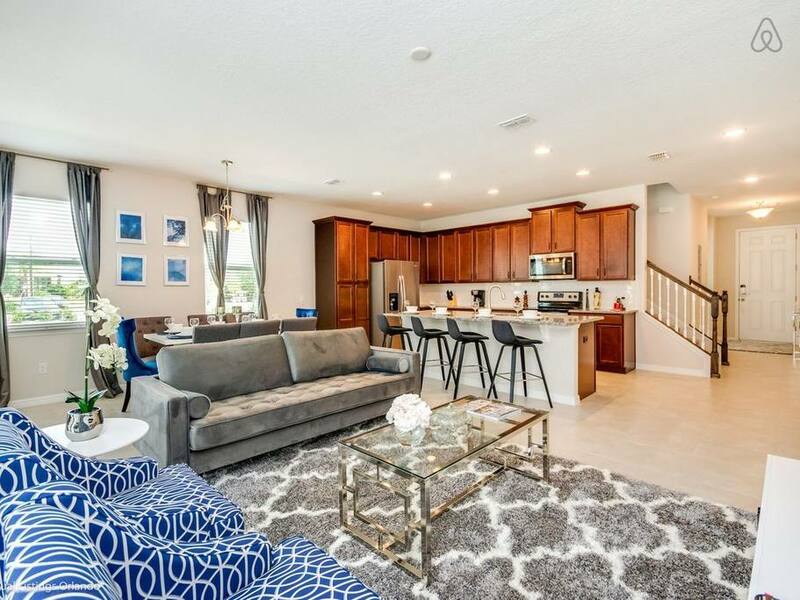 Hop on I-4 and reach SeaWorld Orlando in a half-hour from this luxurious townhouse vacation rental at the new Solara Resort community. 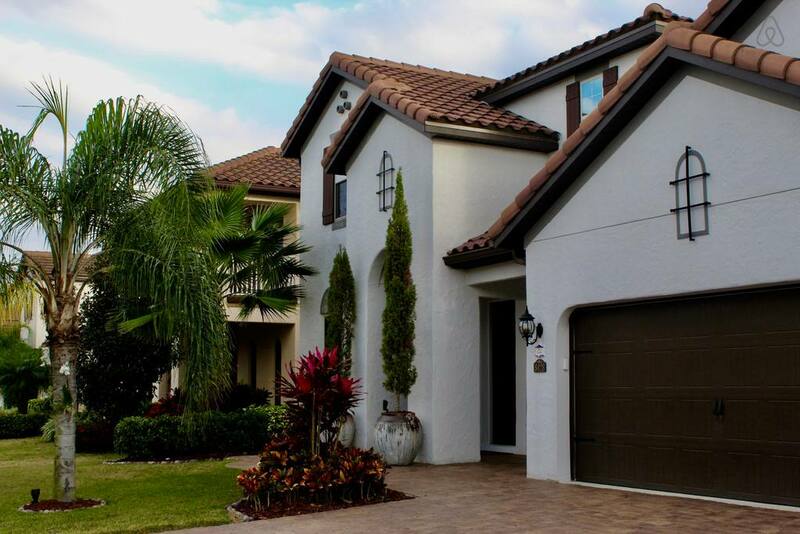 This gorgeous home is designed with vacationing families in mind, featuring five big bedrooms and 4 bathrooms. 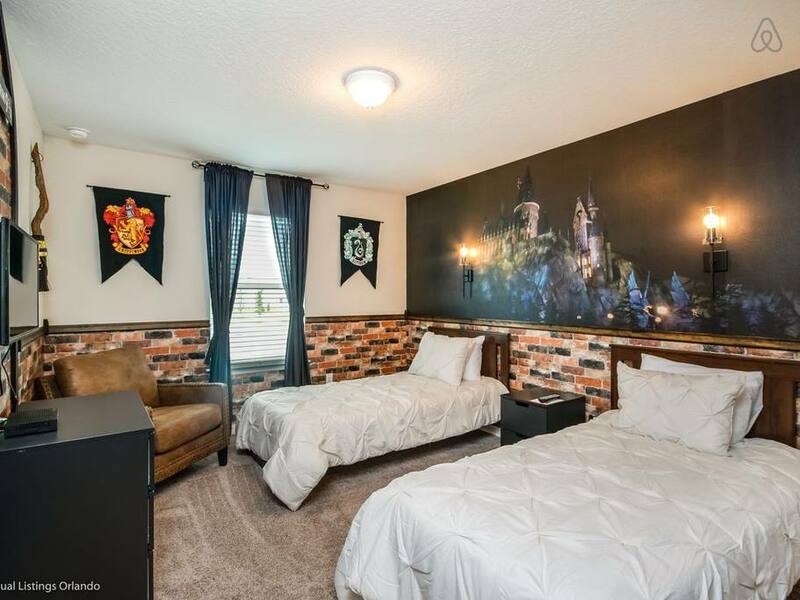 Two of the bedrooms feature Disney or Harry Potter themes, both perfectly magical spaces for kids or kids-at-heart. This spacious townhouse can accommodate up to 10 guests, bookable for around $220 a night. 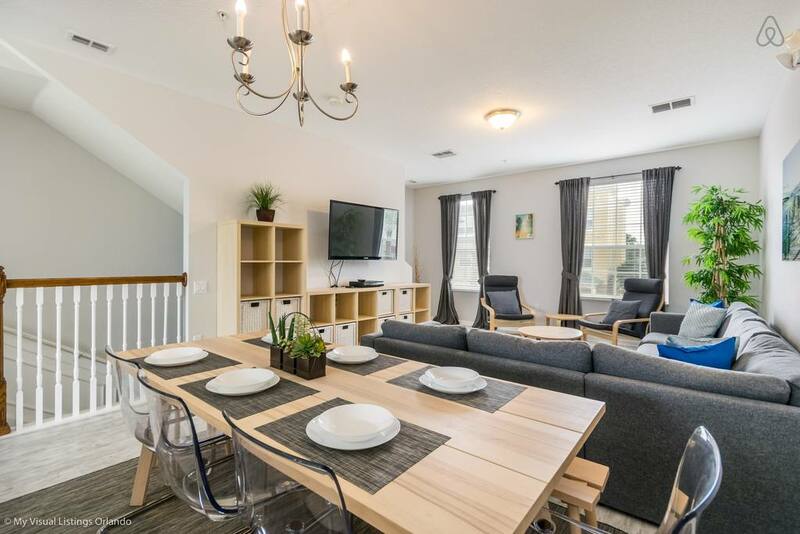 Here it is, one of the biggest and best Airbnbs near SeaWorld Orlando! This sprawling Mediterranean-style Orlando mansion is the perfect party pad with a private pool and piano bar. 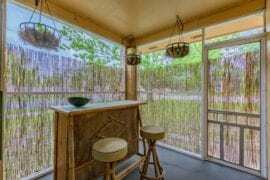 16 or more guests can stay here in style, with six big bedrooms (many with two queen beds) and four bathrooms. 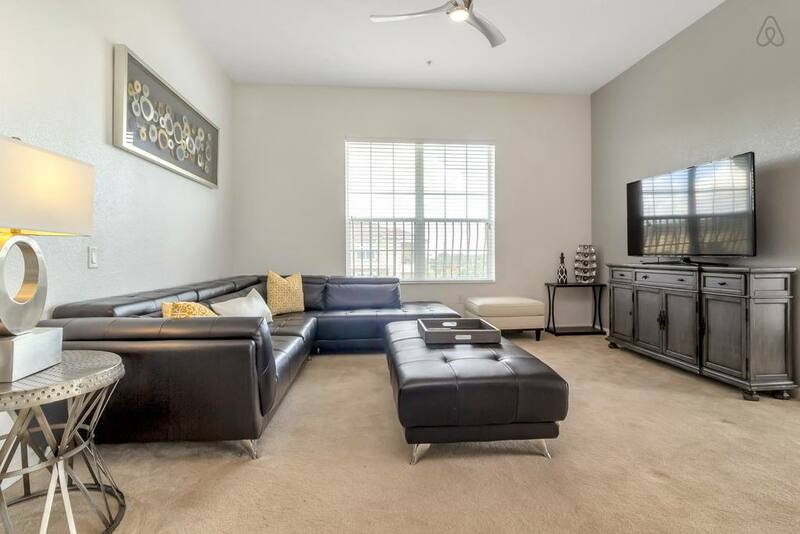 Enjoy ample space to spread out and entertain, including a large separate lounge space with a piano and wet bar. 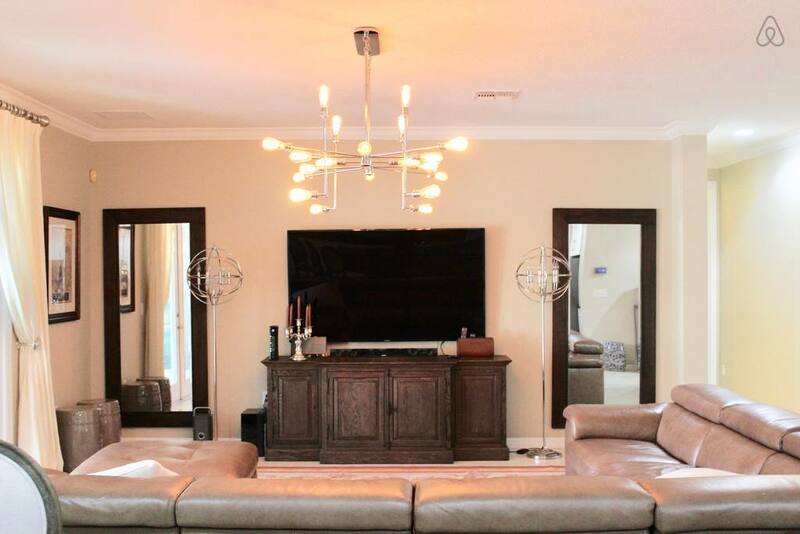 Available from around $630 a night, this luxurious vacation rental near SeaWorld Orlando would be great for your next family reunion or special event. SeaWorld is just minutes away, with other Orlando attractions not fair either! Enjoy a fun-filled day at the theme parks and return to a relaxing backyard BBQ and a swim in your private pool with spa. 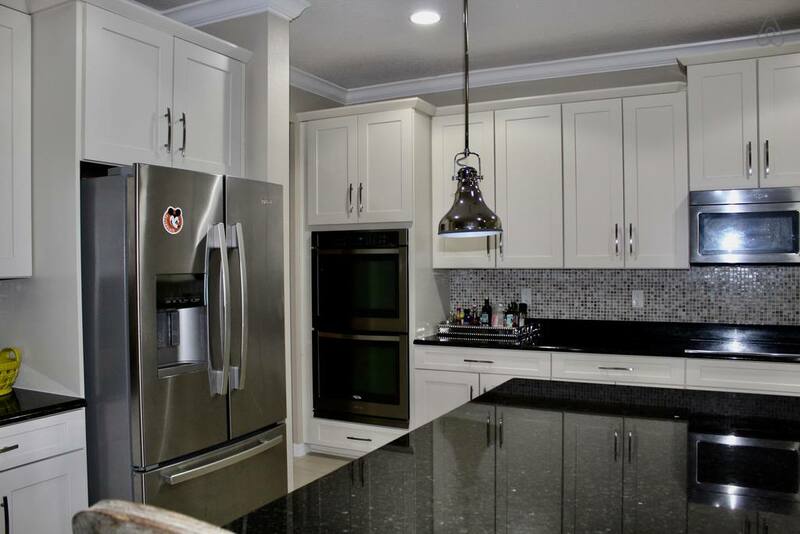 This is Orlando luxury living at its finest!